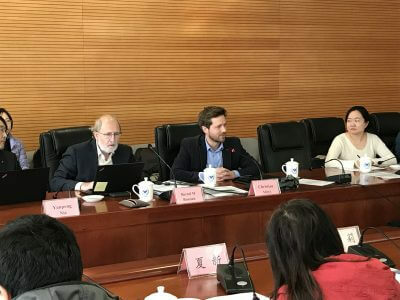 To strengthen the environmental dialogue under the framework of the Sino-German Environmental Partnership Project, a workshop focusing on the topic of Soil Survey was organized by GIZ and Foreign Economic Cooperation Office (FECO) of the Ministry of Ecology and Environment (MEE). 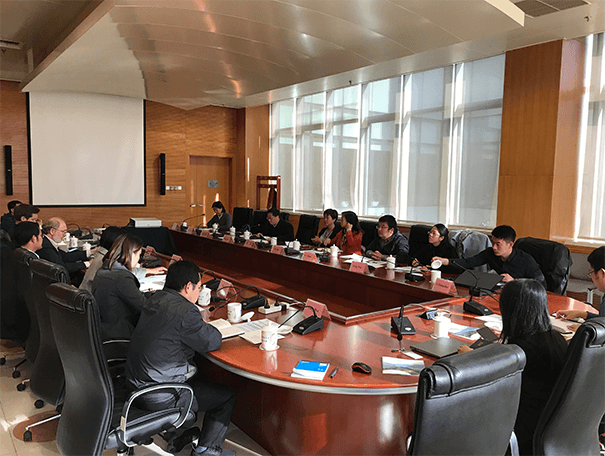 The Sino-German Soil Workshop took place on November 5th, 2018 and was a follow-up activity of a previous workshop focusing on soil in June 2018. Dr. Bernd M. Bussian, Environmental Consultant who previously worked for the German Environment Agency (UBA) was invited to the workshop in order to introduce German experience in soil survey and soil data interpretation as well as management. Furthermore, the workshop was a great opportunity to exchange ideas with Chinese soil professionals. Opening remarks were made by Mr. Zhong Bin, Deputy Director General of the Soil Ecology and Environment Department of MEE and Dr. Christian Stärz, Project Director of the Sino-German Environmental Partnership. During the workshop, Dr. Bernd M. Bussian held presentations on the topics – “How to derive legal soil values – precautionary values – by use of empirical data”, “How to use data from given soil survey and how to design dedicated problem-oriented soil surveys” and “State of the Art Techniques of Mapping, Monitoring and Modeling Soil Pollution: A Case Study of German Soils”. During the Q&A and discussion session, participants from FECO, MEE, China National Environmental Monitoring Centre, and Chinese Academy of Environmental Planning showed strong interest in soil survey design, soil data interpretation techniques, soil data and information disclosure. Experience and insights from Germany were shared and inspirations were sparked for China’s national soil survey. Collaborative results extend to further cooperation initiatives including soil survey study tour to Germany next year. In the past few years, the Sino-German Environmental Partnership has supported the MEE and its affiliated agencies in their soil work through the provision of German and European expertise, experiences and best practices. Furthermore, it has supported the MEE in the formulation and implementation of the Soil Action Plan, which was introduced in 2016.